Jade is either of two minerals, jadeite or nephrite, sometimes green, highly esteemed as an ornamental stone for carvings and jewelry. China has been the leading producer of jade objects for over 5,000 years. A few hundred years ago, master Chinese craftsmen who worked with jade daily recognized that some of the jade obtained from Burma (now the Union of Myanmar) was different. It was harder, denser, worked easier, and produced a higher luster upon polishing. It gradually became the form of jade preferred by Chinese artisans and the jade most highly prized by the Chinese people. They realized this long before scientists differentiated jadeite and nephrite in 1863. Rarely, the Chinese craftsmen encountered fine-grained jadeite with a bright translucence and a rich, uniform green color. This beautiful material was given the name "Imperial Jade" and regarded as the stone of highest quality and at that time in China, ownership was reserved only for the Emperor. The main source of gem-quality jadeite today is northern Myanmar (Burma). Nephrite occurrence is more geographically widespread throughout the planet, including North America. 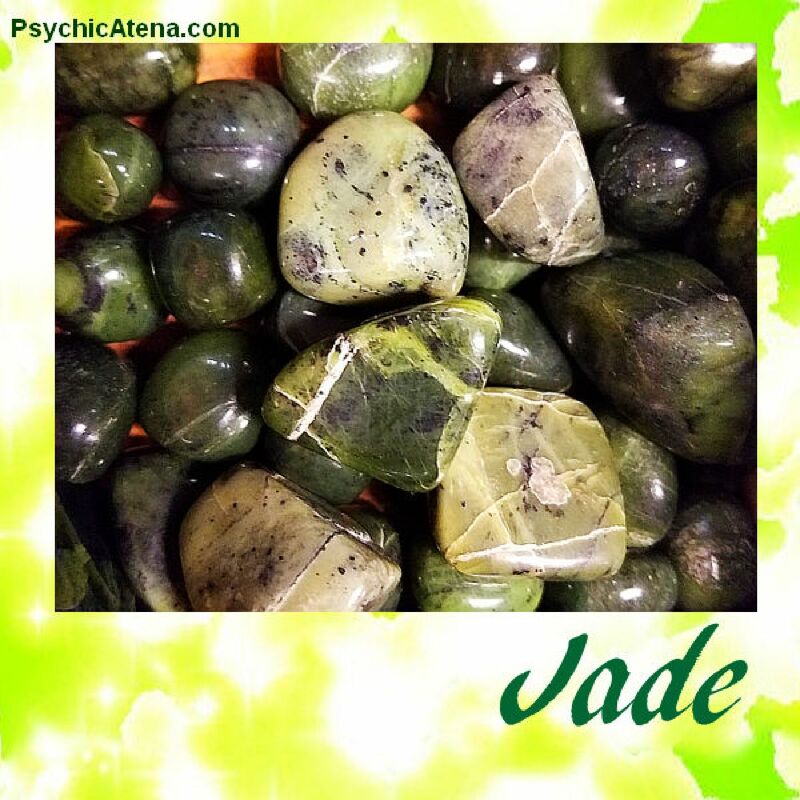 Jade encourages you to become who you really are, helping attract good luck and friendship. It is the stone of serenity and purity, used in calming the chattery mind and seeking out wisdom and harmony. It is the best stone to use when working to harmonize emotions, release old, outdated life patterns and bad habits. As it is the stone of wisdom, Jade is also very useful when seeking inspiration in the creation of new ideas, developing plans and concept for a new business or life adventure. Jade aids in wellbeing by helping the body eliminate toxins, assists in childbirth and works with your body and mind in balances body fluids. Inspires health, abundance , understanding, heart healer, stimulates flow of energy.